Football offers revenge when you least expect it. The elimination against Russia and how it came about left behind a feeling of total impotence. 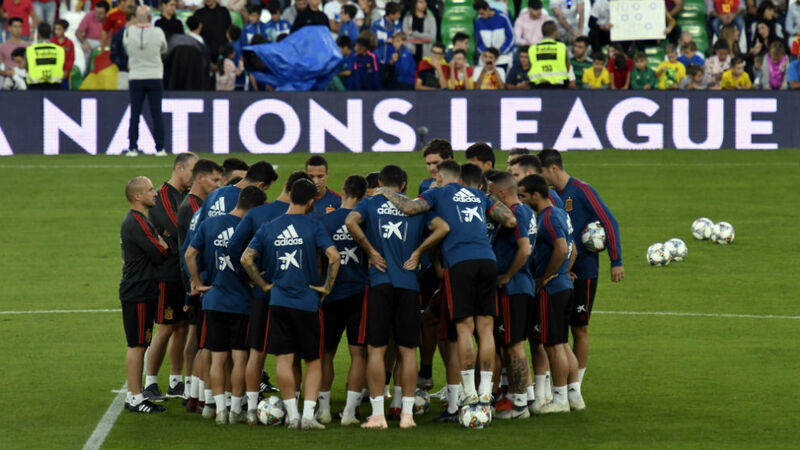 A hasty goodbye affected a national team that, today, has the opportunity to win three points and qualify for the final phase of UEFA’s Nations League. As you can see, three and a half months later, everything is rosy again. The author of the miraculous transformation is none other than Luis Enrique, who came to the office surrounded by noise but with the support of Luis Rubiales. First he imposed some rules, then he won at Wembley, before thrashing Croatia in Elche and defeating Wales at the Principality Stadium. What has changed between what happened in Moscow and the last three games played, resulting in 12 goals in favour and two against? First, the selector, his selection of different players and, finally, his way of understanding football; much more direct. The message was clear and strong from the first day, by a coach who has seen the shortcomings of the recent past. He injected the right dose of energy and enthusiasm to each player, even giving opportunities to veterans such as Raul Albiol. The truth is that he has found grounds for the team to return to what it was or, at least, what it appeared to be. Harry Kane has now gone six matches for England without scoring, or more than one thousand minutes without success. Marcus Rashford has become the only forward that brings a guarantee of goals. Southgate has brought in some of those youngsters who have won titles with England in the lower categories. Sancho, Chiwell and Mason Mount are not wildcards as such, but are daring and attack minded. Luis Enrique takes his side to an Estadio Benito Villamarin that haven’t seen the national team there for 23 years. David De Gea has found his form again and returned to be one of the best in the world in his position. 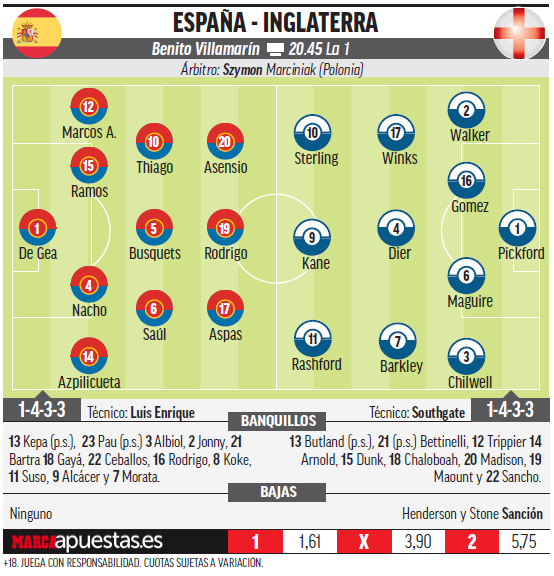 Aspas or Paco Alcacer will take the place of Isco, and should Spain get the result they need and progress, they’ll receive 10.5 million euros – almost double what they would’ve earned if they’d played six friendlies instead.